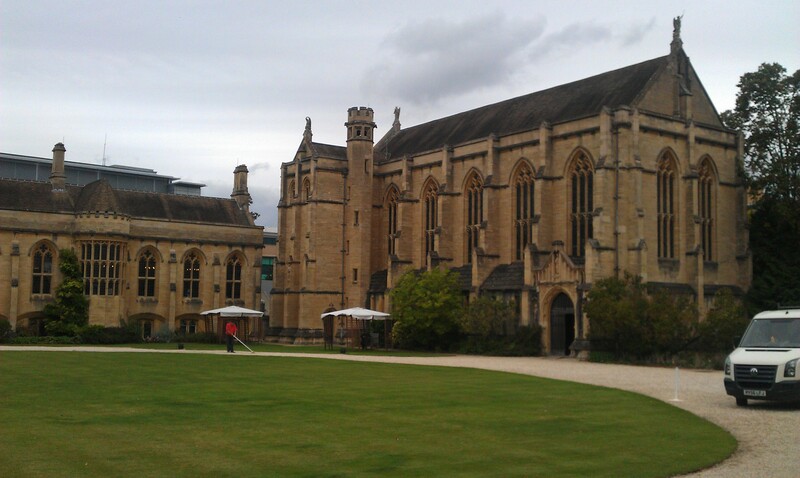 Just back from attending Making Sense of Health, Illness and Disease at Mansfield College in Oxford (6-8 September 2011). I attended this conference in 2010 and was really impressed. It’s a small conference where everyone that attends is required to present; there are no parallel sessions so conversations build over the 3 days of the conference. For 2011 conference was focusing on the theme “Chronic Illness: The Borderlands Between Health and Illness”, so I headed back with my colleague on the Growing Up with Cancer project – Peter Lewis. We talked about young people making meaning of their experience of having cancer through finding benefit. Check the draft paper out here. It was great see a few familiar faces from last year and some colleagues from Australia, and meet some interesting new people. Abstract: According to qualitative research with adult cancer survivors, the experience of survival is said to be characterised by (among other things) a diffuse sense of indebtedness. Survivors thus sometimes engage in activities that are designed to “give something back” to the communities or to the health care system that helped them to survive. This paper examines whether expressions of indebtedness and/or actions undertaken to “discharge” or “repay” the debt are evident in young people’s accounts of survival. The findings are based on semi-structured interviews conducted with 28 cancer survivors aged 16-30 years. Study participants spoke about becoming “a better person” because of their survival experience. Evidence proffered in support of this included intentions to be helpful or supportive, aspirations to do good works in the future, and descriptions of actual acts of charity, support for peers, and telling their story to help other young people with cancer. Participants also claimed that their personal experience gave them special insight and wisdom into problems experienced by their peers. Moreover, they often contrasted their own attempts to be a better person with a perceived lack of this desire, or associated actions, among their peers. So while young cancer survivors did not speak of indebtedness they did express a desire to do good deeds for their local and broader community, a desire that they attributed to their cancer experience. We will argue that the ways participants described enacting “being a better person” in their daily lives and the ways they used this to differentiate themselves from their peers, contributed to the development of their cancer survivor identity. We will end our presentation by considering how the social, cultural and developmental contexts of these young cancer survivors’ lives may be implicated in the way they choose to undertake this ongoing identity work.